Just in time for PCS season. The perfect opportunity to get rid of all of your used items and sell them for a small fee instead of throwing them away. And you don't need to ship them back home if you are PCS-ing! Access to the Community Recreation Center, Bldg 38 will be at 0915hrs for vendors’ setup. Doors at the Sports Center will open at 1000hrs for customers. Dangerous/illegal weapons, to include knives, guns, etc. Self made food including baked goods. Flea markets are open to US and Canadian ID Card holders, no exceptions. Final determination of non permitted items will be made and checked by the MWR Staff. All vendors are responsible for their individual change fund. Vendors will use the table and space provided by MWR for their merchandise and must keep their merchandise within their marked (rented) area. MWR can not be held responsible for any articles lost or stolen. Each area must be manned at all times by the renter of the table/space. No pets allowed in the Sports Center. Clean up will commence at 1600hrs and the Sports Center must be vacated by 1630hrs. Vendors are not allowed to leave any merchandise or trash behind at the Sports Center, there will be two garbage containers at your disposal. 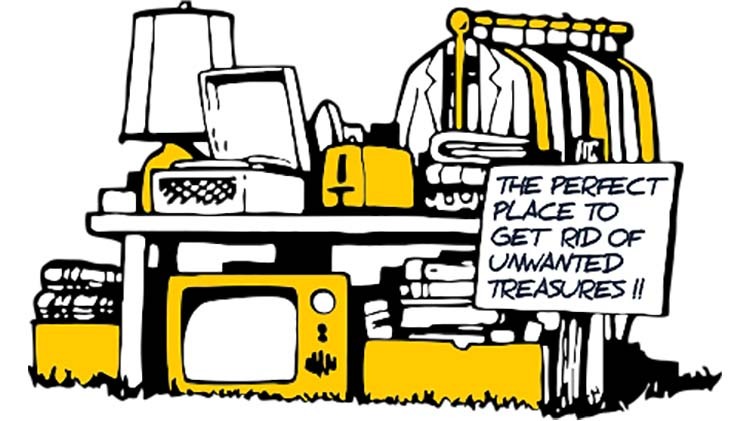 Violation of any of the rules and regulations of the Flea Market by the participant will result in removal. There will be no refund given.